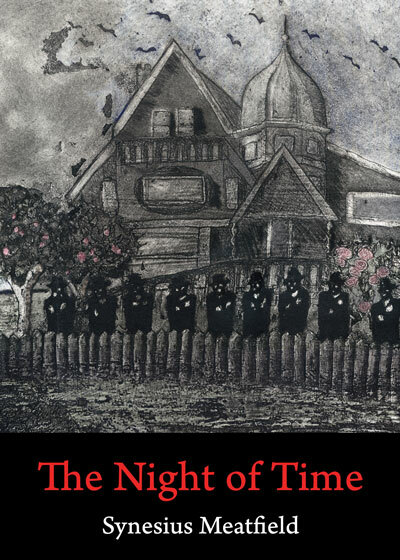 In Synesius Meatfield's novel, The Night of Time (ISBN 978-0557311682), a small city has survived the collapse of civilization by strictly controlling the minds and bodies of its citizens. Knowledge of past culture is forbidden, though one person, Helena, the Secretary of Culture, is allowed access to it. She yearns to restore the free expression of human ideals, but she must yield to the President, Falk, whose uneasy relationship with Helena is fraught with danger for her. A crisis in two young men's relationship, of interest to both Helena and Falk for conflicting reasons, tests the limits of the city's tolerance. The brutal violence and barbarianism of the world outside increasingly threaten to destroy the city's seemingly placid existence. The evil that lies under the surface of the well-controlled state is about to erupt and ruin her schemes, as well as Falk's. Helena must negotiate the dangerous path between duty to her citizens, her plans for their rehabilitation as human beings, nurturing the young men's growing love for each other, and her personal mission. Mr. Meatfield is currently working on a sequel to The Night of Time, whose title will be Orgasmagunda, Queen of the Visigoths.